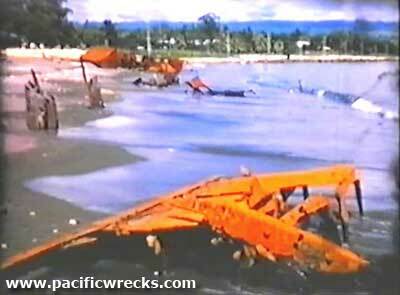 Lat 9° 25' 60S	Long 159° 58' 60E Kukum village was located on the north coast of Guadalcanal. Borders Kukum Bay and Iron Bottom Sound to the north. To the east is Lunga Point and Henderson Field. Between early July until August 7, 1942 used by the Japanese as an anchorage. 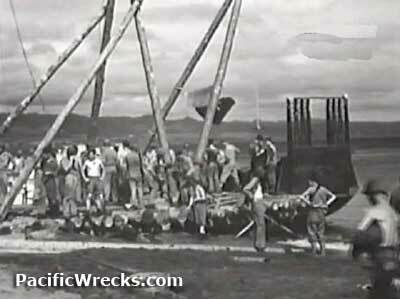 During this period, the Japanese built a wooden pier at this location for unloading cargo from barges and ships. During August 1942, Kukum was occupied by U. S. Marines. Kukum beach was code named "Green Beach" by the Americans. In early December 1942, the Japanese pier was repaired and put into use by the Americans and the Kukum area was developed into an unloading area for cargo. During 1943-1944 the area was further developed into a wharf area and depot on shore. 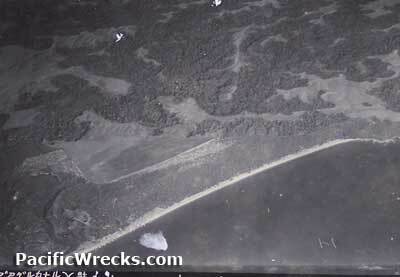 At this location, Landing Ship Tank (LST) were able to unload directly ashore. American built airfield at Kukum parallel to the north coast. Developed into a wharf and depot area by the Americans. When Japanese artillery bombardment began, the Kukum area was in range. 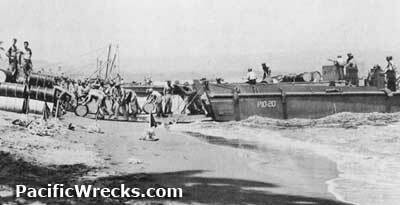 After the battle of Guadalcanal ended, it was further developed into the main dock area on Guadalcanal.